We like PGOLD since it could be the overall winner under a new tax regime. At the same time, we reiterate our Buy rating on PIZZA given its very strong profitability. We believe that both stocks are not yet fully appreciated by the market since they have the lowest 2018 P/E in the industry. Turns out these were good recommendations by our partner broker! Look at the stock price performance of these two Top Picks from September to October. 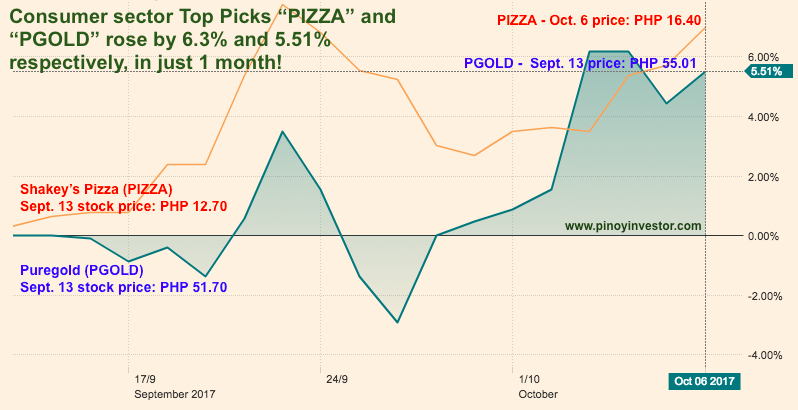 In just one month, PIZZA rose +6.3% while PGOLD rose +5.51%. Shakey's Pizza Ventures PIZZA BUY PHP 16.40 PHP 13.50 +6.30% GOOD CALL! 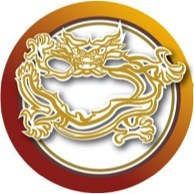 Puregold Price Club PGOLD BUY PHP 55.01 PHP 54.55 +5.51% GOOD CALL! 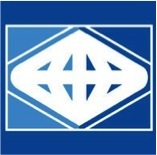 Max's Group Inc. MAXS HOLD PHP 19.76 PHP 19.92 +2.15% GOOD CALL! Universal Robina Corp. URC HOLD PHP 151.64 PHP 150.90 -1.95% GOOD CALL! This is how we make PinoyInvestor members smart, happy, and profitable — by giving you exclusive access to useful stock reports. What to do now with these stocks? Should you continue buying or start selling them? Check out our partner broker’s recommendations in these Technicals Talk reports!